The Partisan Mind | Inertia Wins! The line of thought that Kurt Vonnegut describes on p. 27 of Breakfast of Champions isn’t true of all people, but it is still distressingly common. Ideas on Earth were badges of friendship or enmity. Their content did not matter. Friends agreed with friends, in order to express friendliness. Enemies disagreed with enemies, in order to express enmity. 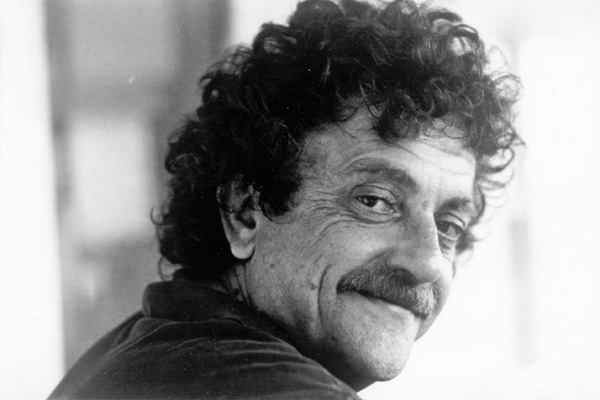 There is a good reason why Vonnegut’s depressing observation is true. Humans evolved as a tribal species, and we haven’t quite grown out of it yet. This is one reason an immigration debate still exists, even though economists decided the issue more than two centuries ago. More to the point, agreeing or disagreeing with people for merit-unrelated reasons is one way that people define their in-groups and out-groups. When a nation is shallow and imitative, it finds nothing more powerful than editorial slogans. They are short, they seem clear, they are inscribed easily in the memory. Cunning men throw them to fools who seize them, because they are thus spared the trouble of thinking. They repeat them, because this gives them the appearance of understanding. Hence it arises that propositions whose absurdity astonishes us when they are analyzed, slip into a thousand heads and are repeated by a thousand tongues, such that one is endlessly reduced to proving what is obvious. I’m not just picking on Democrats here. 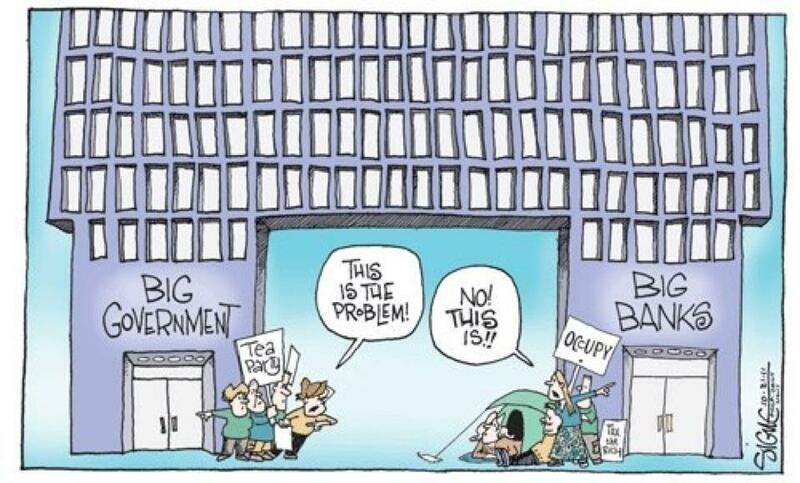 The GOP has the same problem, and to the same degree. There are a lot of reasons why such a base strategy is politically successful. One is rational ignorance; people have better things to do than dissect the fineries of policy. Another is tribalism. If Homo sapiens has been a species for one million years, then we have lived in small tribes of 150 people or so for nearly 99.9 percent of our history, up until the agricultural revolution a little more than 10,000 years ago. After all, for most of our species’ history, other tribes were just as likely to steal from or kill members of your tribe as they were to share a meal or become friends. That’s why a wary, us-versus-them mindset is in our blood. People have a natural tendency to identify with one political tribe and vilify the other one. Substance gets lost in the resulting vitriol. Any rock, down to the tiniest pebble, must be hurled at the hated Other. Even if you miss, you feel better about yourself simply for having thrown it. It may be only two months until the election, but it feels like so much longer than that. What to do, then? Leading up to the election and beyond, independent voices need to keep pointing out the parties’ fiscal and regulatory excesses, as well as ways to reform them. It takes some repetition, but if we keep at it someone will listen. Nick Gillespie and Matt Welch point out that duopolies rarely endure because they tend to abuse their customers. That creates an opening for competitors to enter the market. Political markets are different than economic ones, but duopolies still have many of the same qualities — particularly regarding customer abuse. That’s why I was pleased to see a writeup in this morning’s Politico that the percentage of political independents is at an all-time high in a long-running Gallup poll. 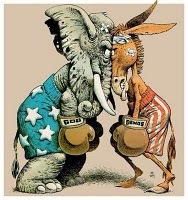 A full 40 percent of Americans have now opted out of the Republican-Democrat duopoly. As a candidate, Obama criticized the last administration for holding Americans as enemy combatants without trial. He faulted it for wiretapping citizens without a warrant. He rejected the Republican claim that the president has the “inherent power” to go to war without congressional consent. He depicted George W. Bush and his vice president as a menace to constitutional limits and personal freedom. But look at him now. Last week, Obama signed a bill letting him detain U.S. citizens in military custody without convicting them of anything — not for a month or a year, but potentially forever. I’m all for the Occupy Wall Street movement going out there and having their say. Many of the activists seem almost completely innocent of economic knowledge, as I’ve written before. But I do lean left on many issues — I’m against crony capitalism and corporate welfare. It’s time to get out of Iraq, Afghanistan, and our other top-down nation-building adventures in this Hayekian bottom-up world. The PATRIOT Act and the Bush-Obama administrations’ other civil liberties excesses should be repealed outright. I favor LGBT rights and legalizing gay marriage. Drug prohibition is as bad of a policy failure as alcohol prohibition was. I prefer welcoming immigrants to shunning them. As someone who has studied the economic way of thinking and makes his living looking at the data, obviously my preferred economic policies differ from what most Occupiers want; they haven’t and they don’t. But we share the common aim of helping the poorest of the poor. Means may differ. Ends don’t. Not how I would have put it. I prefer tact. But you see his point. Socialism is also a dead horse; one wonders why Republicans insist on beating a horse that died two decades ago. Cooper may work for the partisan Heritage Foundation, but you also don’t have to be right-wing to resent people who block your way home after a long day at work. Occupiers have closed a lot of minds that they could have opened instead. The shallowness of this kind of thinking speaks for itself. But the real shame is that they have much better arguments to offer. Some of them are right, and some of them are wrong. But they still have substance. They should offer those arguments instead. My unsolicited advice is to keep saying what they have to say with passion — but also with tact. Again, why close minds that you could open? The two movements have much more in common than either would like to admit. Click the cartoon to enlarge. 49 percent of Occupy Wall Street protesters support bank bailouts, according to Douglas Schoen, a partisan Democratic pollster who worked for President Clinton. I’m as surprised as you are! These protests are supposed to be against cronyism, not 49 percent in favor of it. Then again, Zuccotti Park is not exactly a fount of policy knowledge, as New York Magazine discovered.